September is ending, life went back to normal again. The summer heat is gradually making way for a fall breeze. To help you overcome those post-summer blues, we’re announcing a whole set of new features! 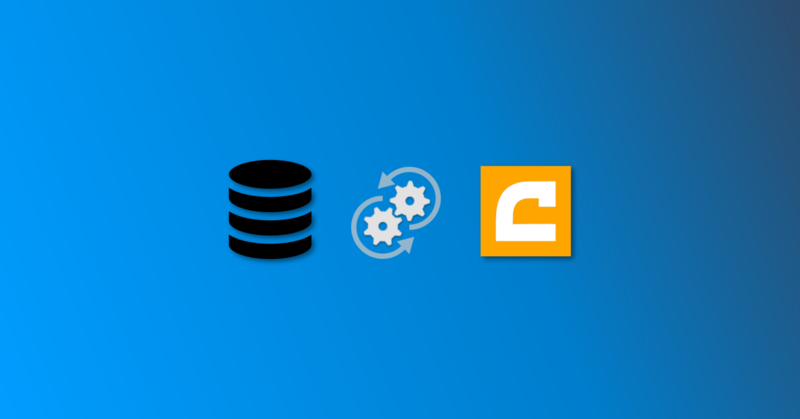 As more and more clients are connecting databases to Cumul.io, we’ve done some improvements to make that connection run as smooth as possible. Imagine you’re making changes in your database, which affects the structure of your data and changes the metadata related to certain items in your data table. Then you would want these changes to be reflected in Cumul.io too, right? Thanks to a new feature, called metadata synchronization, you won’t have to worry about structural or data type changes in your database. These changes in information are now automatically synchronized in Cumul.io. 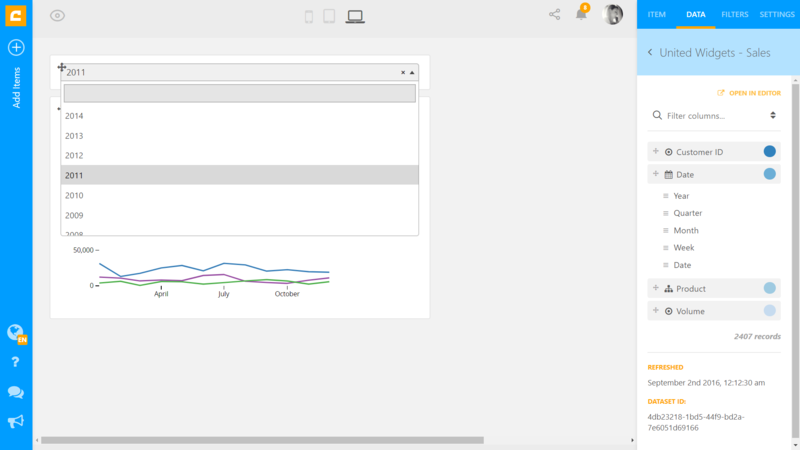 So, any database change will be reflected directly in your Cumul.io dataset. This will help you to keep all your technologies synchronized, without having to do manual adaptations. On another note: if you’re looking into connecting your database, we’ve recently added an AWS Athena plugin to our default connectors. Next to our existing connections with PostgreSQL, MySQL, MariaDB and others, you can now also connect your data from AWS Athena without having to write a plugin yourself! Imagine this: you’re rushing to make some changes to your dashboard, and then you accidentally click the delete button on one of your charts. Your chart is gone and you can start over. Frustrating, right? Not anymore! We’ve added an ‘undo’ function to recover a chart right after deleting it. So, if you deleted your chart by accident – or you just changed your mind – simply press the undo button to get it back. We want to make sure that you, as a customer, have 100% transparency into Cumul.io’s operationality. Therefore, we’ve added a brand-new status page: status.cumul.io! 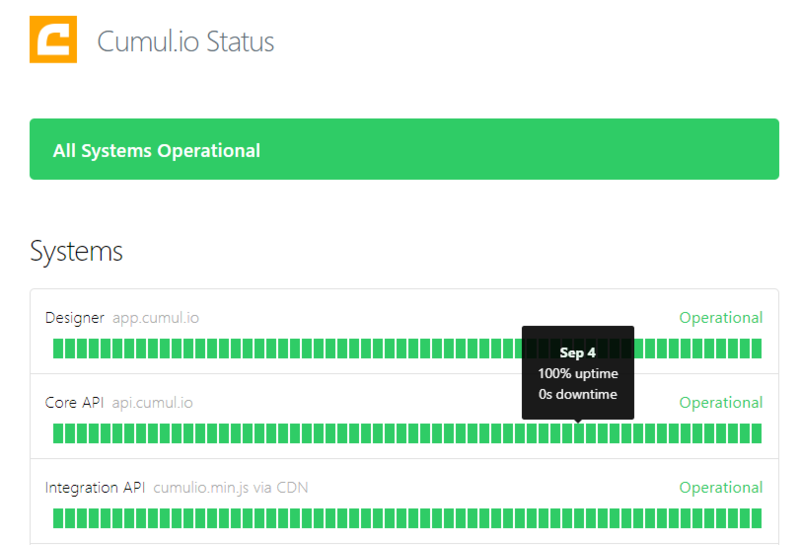 On this page, you can monitor the status and response time of all the Cumul.io systems. This will allow you to double-check the operationality of all our systems in real time. On top of that, we created a public roadmap for you to follow. Keep track of what we are planning to add to our platform at roadmap.cumul.io! Of course, to stay up-to-date on our latest releases, keep following our #FeatureFRIYAY posts. We further optimized the integration loading time. The number of files that are loaded when rendering a dashboard has been reduced considerably. This causes the dashboards to load even faster than before. We’ve also added an ‘Integration tab’ in the Cumul.io dashboard editor, below sharing options. No need to dive into the developer documentation yet. For a simple embed, simply follow the steps in the sharing modal. Is your integration case a bit more complex? Then our updated developer documentation is definitely on your to-bookmark list. This month, we updated the API docs with extra guidance, new code examples and more! Have you ever wanted to combine different visualizations in 1 chart? Our new combination chart lets you combine the best of both worlds. Usually, it combines a line chart and bar chart to represent different category groups in a single chart. For example, in the chart below, we visually compare a company’s marketing budget vs. actual sales outcome per month. Now, the chart isn’t limited to only bar & line charts. You can also choose to combine more advanced visualizations, like the area chart or scatter plot. We’ve added some extra functionality to the ‘Search & select’ filter box. This filter item now also supports datetime & numeric data types, whereas it only supported hierarchies before. Try dragging dates or measures onto the select box item, and start filtering! Can’t wait to explore these new features? 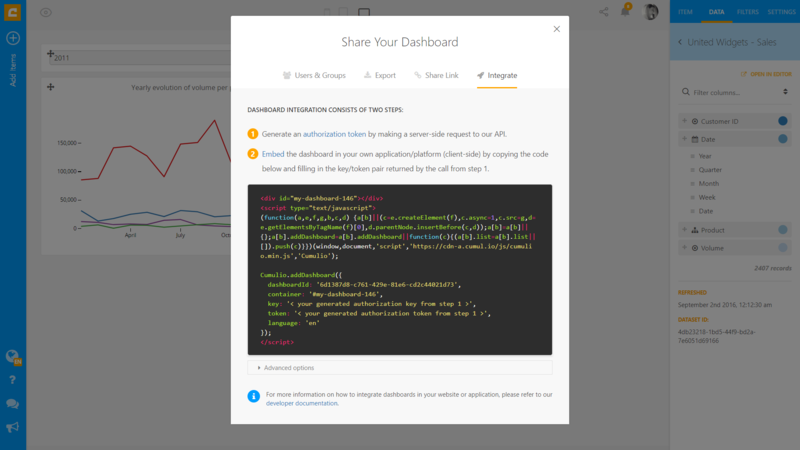 Go to your Cumul.io account and start dashboarding!